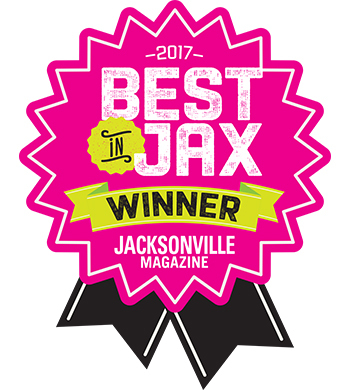 Thanks Jacksonville Magazine for voting us the BEST party place in Jacksonville. 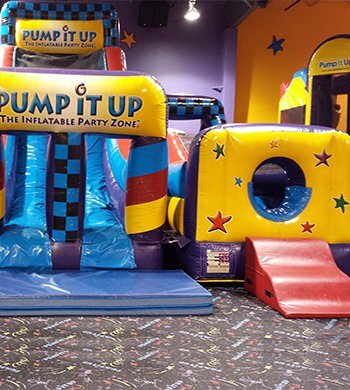 Don't take our word for it, host your next party at Pump It Up! Looking for a "change" in career, John and Donne' Ordile decided to take a risk and purchase an established Pump It Up business. The Ordile's have 3 young boys, Justin, Brayden and Andan. "We love the Pump It Up business, we get to help friends and families celebrate special times together"
In the future the Ordile family plans to bring new and exciting attractions to Pump It Up. They have successfully updated different equipment, bathrooms, and even brought Imagination Blocks to Jacksonville! The Pump It Up Crew & the Ordile's hope to make each visit the best visit you have!